Before writing about study masters in Belarus for 2019 intake we must know what actually is a masters degree. 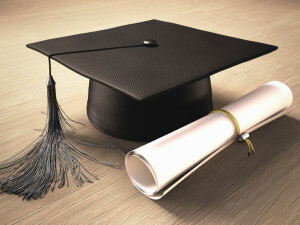 A masters degree in Belarus or anywhere in the world is a more qualified degree earned after bachelor degree. A masters degree holder is known as more qualified person than a bachelor degree holder and with more career opportunities. Some students earn their bachelor degree and do not wish to study more to enhance their qualification on post graduate level. In 2018 it has become a much prominent qualification for job seekers so if you are a bachelor degree holder now than will be good for you to do a masters degree right now. Those who want to be a more authentic in his/her field study their masters degree and they always have more chances of a bright future. Almost every masters program is followed by a bachelor program and even after masters program students sometime study their M.Phil program to follow a Ph.D program so without a masters degree no one may qualify for a M.Phil and than Ph.D. So we recommend you that once you have earned a bachelor degree and circumstances are well than you should study a master degree to be more authentic in your professional life. Duration of masters degree vary from case to case in Belarus. If you have already a bachelor degree that you will study 1 1.5 or 2 years for a masters degree in Belarus but in case you are qualified in a bachelor degree from Belarus than masters degree will be for 1 year study. In case you want to study MBA(Masters in Business Administration) than in any case this masters degree will be for 1.5 years no matter you already have a bachelor degree. For other field for example if you have earned a bachelor degree in computer science or information technology etc etc from Belarus than the masters course duration will be 1 year from the same university. So just adding 1 or 2 years of qualification will be a great boost for your practical life in the respective field. Masters degree can be earned in any field like computer science information technology biomedical engineering aeronautical engineering chemical engineering nursing civil engineering economics finance banking etc etc. But again the MBA will last for 1.5 years in any case. So the master degree is taught in all fields of education may say. WHO MAY APPLY FOR MASTERS IN BELARUS? Anyone who is having a bachelor degree may qualify for a masters program in Belarus in the relevant field or sometime in different field of study but some subjects matter. So in case you want to study a masters program in Belarus than may apply now today for 2018 intake as for Masters program there is no admission deadline in Belarus but you must hold a bachelor degree already. 1:Master degree always play a great role in your practical life as after earning a Masters degree you are a more qualified person and may work in government and private sector more progressively. 2:Once you have a bachelor degree than you are given preferences over other graduates as you are taken as a more qualified person.This edge helps you everywhere in your career. 3:Suppose you have a bachelor degree and doing a job than you may privately earn a Masters degree and right on your job you may have more benefits as you become more qualified and authentic worker for that job. 4:You only study at Master level to earn a Masters degree provided you are ready heartily for that because strength of your qualification lies in your ambitions. 5:Once you have a bachelor degree ,You are required in the different fields of practical life but once you have a Master degree than you are more required by government and private sector. 6:In case you have a special field in your mind and for that you have earned a bachelor degree than keep sure that a Masters degree will make you a master mind in that field. 7:You always have opportunity to study your Masters degree if you are ready for that as Masters degrees are not only taught at universities but you may earn it privately if you are already busy in your job. 8:Belarus universities offer the Master degree in all fields and most of the Masters degrees in Belarus are taught in English medium of instructions so for international students with the knowledge of English language become more easier to pursue their Master degree in Belarus. 9:Mostly master degree programs in Belarus are for 1 or 1.5 year of education so you normally do not need to study 2 years for your master degree. 10:No matter from where you have earned a bachelor degree,You qualify to study a master degree in Belarus as an international student. As we all know that engineering is a very vast field and very very important field all very the world so in Belarus also engineering education is of huge value. That is the reason that in Belarus engineering education for international students is provided on all levels. There are bachelor degree is engineering and also master degree in engineering in Belarus is taught may say in all fields. In Belarus masters in engineering courses are taught in the fields of Computer engineering,Civil engineering,Architecture engineering,Mining engineering,Aeronautical engineering,Oil and gas engineering,Chemical engineering etc etc. Many courses are taught in English medium of instructions for international students and some in Russian medium of instructions. Masters in engineering is taught in Belarus for 2 years and sometime 1 year or 1.5 year.Duration of a masters degree program depends on the course. Once students earn a bachelor degree in engineering in Belarus,They qualify for a master degree at the same university without any problem. International students who earn their master degree in their own country also qualify for a master degree at engineering university in Belarus. All engineering universities in Belarus offer a master degree too at the same university so students do not need to change their university after a bachelor degree from the same university. There are many business and management universities which offer the master programs in business,Economics,Finance,Management and banking so international students have a huge choice in Belarus for their master degree courses. These courses are taught in English medium of instructions in Belarus for international students and same universities have the preparatory faculty too for those international students who are not good at English. These management degree programs are of high value and taught by the highly professional teaching staff at Belarus universities. Duration of the courses is 1 Year and 1.5 Year normally but some specific master courses are taught for two years too. Interested international students must hold a bachelor degree to pursue a master degree at any Belarus university. National students of Belarus study their master degree programs in Russian medium of instructions and international students normally refer to study their master degree programs in English medium of instructions. Every university offer the master degree programs in Belarus has a preparatory department which teach the international students Russian language for 10 months to prepare them for a master degree program but it applies only on those students who are not good at English or who want to study for a low budget. It is obvious that in English medium of instructions courses are a bit expensive than the courses in Russian medium of instructions all over the Belarus universities. International students who want to pursue a master degree at Belarus universities must hold a bachelor degree. No matter this bachelor degree he/she earned from university in Belarus or anywhere in the world. International students who are interested in studying a masters degree in Belarus may apply throughout the year as there are no admission deadlines for a Master program. Anytime applicants may scan us their documents for eligibility assessment and may join throughout the year their master program. For admission into any Masters degree program for 2019=2020 intake you may contact us freely through communication means mentioned below and a fast admission service will be provided for you right now. Interesting, must you learn the language before enrolling?